The Travel Paradise is a travel blog - where I share my experiences and offer tips on travel. Much of my blog focuses on the beautiful islands of New Zealand. Hopefully, you can use my advice as inspiration for your holiday. Happy travels. Years ago, I spent my honeymoon in New Zealand for about 2 weeks with a lovely car rented from ACE Rental Car. ACE is a reputable and reliable company in New Zealand. Before I decided to rent car from ACE, I did a lot of researches from websites and forums. From there, I heard many good comments about ACE, not only the car quality but also the good service provided, although the age of cars are quite old. During the trip, we drove about 2400km with ACE's car without happening any unhappy matter, overall performance was satisfied. I would like to recommend this to all of you. For New Zealand please click HERE; For Australia please click HERE. ACEEVENTS: 10% discount, travel period till 30 Nov 2018. If you are having vacation in another months, you can wait for awhile as ACE will release the code on monthly basis. Thanks. If you are managed to get the discount, please feel free to write a moment here. If you are seeking help on getting the discount code, you can make enquiry here too. Hi, thanks for your information, get article. We managed to get the discount. thanks. You are welcome. Thanks for your supporting my blog. 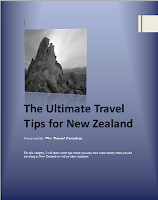 Can you leave your email address to you as I need to get more info concerning my trip to NZ on next year March? Hi Ooi, you may contact me at cheeyeepang@hotmail.com. Do let me know if you have any question, I will answer you if I know. Or else, I prefer you post the question here, so I can answer you on my blog here. Thanks. 1) Why should we wait for 4-5 days to confirm the transaction? Answer - As ACE Rental Car will only provide the 5% commission in this 4-5 days. 2) What do you mean suggest to click everyday to check? Answer - I know that ACE will give 5% discount within 5 days, but not sure ACE give on Day 1, or Day 2 or Day 3....., so better check it everyday. Your promos are awesome. A 15 percent voucher is a welcome service for travelers. These promos make a car rental business competitive. I got the additional 5% discount on Day 1. Great to hear this again!! They have the pick up service, you need to let them know where do you stay, they may send their driver to pick you up. The promo code does work but did anybody also get a 10% discount code that can be used half a year for future rentals and can also be passed on to "friends"? If so could you please post it? Hi Daniel, I do have the code here. But what is the different between the requested code and the code I posted in my blog here? Hi again, I need to pick up the car from the airport, and drive off for 6 days, and return the car back to the airport. I'm a little unsure how to pick up the rental car. based on the instruction, you either have to call them or take a shuttle to their rental location. I hope it's not too difficult to do that. Which city you are flying into? If Auckland,their Airport Office is open 7 days from 7.00am - 5.00pm. Just give Ace a ring on the free phone (0800 00 43 00) from arrivals and someone will come to meet you within a few minutes and transfer you to the branch to collect your vehicle. If Christchurch, they don't have office at Airport. So, just also give Ace a ring on the free phone (0800 20 20 29)someone will come to meet you and transfer you to their branch (Christchurch branch hours are 8am - 5 pm 7 day) to collect your vehicle. Thank you. I arrive in Auckland at 8:45am. It should be pretty easy then. Thanks for the sharing... it works!! Ace rental service not bad,we rented a station wagon - Nissan Premira at NZ47..02/day. (after 10%+5% discount) No problem for the whole journey of 12 days 2800KM drives. pick up and return done within 15 minutes. Thanks again for your sharing! - Daphne. I totally agree with you, NZ is really a beautiful country!!! Yes, ACE rental car provides good service and quality car!! I am also welcome all of you if you want to share your travel experiences on my blog, just send me an article, I will arrange and post on my blog. Yes,login http://acerentals.directtrack.com/z/14/CD172/ and place the "fb_promo_code" at the promotion code box. Hi your blog did help a lot on my trip planning to NZ! Thanks very much for your kind effort! I just read through your blog and found that you arrived CHC late night. Just curious how you get yourself out of airport to the hostel? Was it via shuttle? And also, I might need to take a super early flight (6:00AM) from CHC Airport when coming back. What do you suggest? Return the rented car a day earlier and book for a shuttle for the next morning (~4:00AM)? The time of your both flights are similar to mine. I reached Christchurch was about 11pm, I took a taxi to my hostel, cost me about NZ$30++. Don't worry, there are many taxi standby there for tourist. Are you renting ACE Rental Car? I experienced to return car to ACE office at 4.00am, I parked the car at the car park and put the car key into the box which located just outside the office. Before I set off from my hostel, I had called the taxi to wait for me at ACE office. That's all I had done, is easy. Don't worry. Another question about the Aus VISA. Since you arrived and departed from Aus, what kind of VISA you've applied? Did you make a few days stop at Aus as well? I planned to drop by Aus for 2 days before I depart to NZ. But i'll be just transit in Aus when I heading back. Not sure what kind of VISA to apply as the info is quite confusing. I did apply the travel visa for AUS and stayed there for 1 night. Excellent information. Thanks for spending the time. Genuinely enjoyed the post. Many many tks for the infor, it really helpful. Btw, i m blur till click the wrong drop off point and unable to 'modify booking' so is it i send an request to them by email and thru 'live chat' will do? cos i got the cheapest deal, and i want secure tat deal. Have you paid the deposit??? If not, you can create a new booking and forget about the old booking. You will still can get the discount by the promotion code. If yes, you must contact them directly by using live chat, they will get back to you by email later on. Hi June, They have pick up service, you need to let them know where do you stay, they may send their driver to pick you up. Hi. the code worked for us and we recevied a 25% discount.Tahnks! However, in the email they sent us with the quote, thre is no button which says " Click here to confirm". Hence I am not sure how do i check if i will receive the additional 5 % discount. Please help.. Also, we arrive Melbourne at 12:00 AM ( post midnight) , so do I call them after we land or do they have their counter at the airport. Wow!!! I just realised now is 25% off!!! I tried just now. I still can see "Click here to confirm this quotation now". Do you mind to provide me your email, so I can forward the image to you. For the time you arrive, I think is better contact them directly. As I afraid I will give you wrong info. If you are able to confirm the booking within 30 minutes, you will have the additional 5%. Oh~~ ya, I think Australia website has removed this promotion already. Any tips on the ferry crossing??? Very sorry that I dont have discount idea on ferry crossing. Feb. 20, 2013 was able to follow your instructions, use the code you suggested, clicked on the quote button and received both the 25% discount + the additional 10% discount if I booked within 30 minutes. I needed to get a few questions answered and when I clicked on the 'book now' (or whatever it said), the discount DID expire. So, I started over but submitted my alternate email address (just-in-case) and everything worked beautifully! We'll end up with dependable rental car with roadside assistance included for $27NZD per day plus a $1 fee per day for the second driver, I think. Couldn't be happier - thank you so much for your help! Hi Kibble, very happy to hear this. This site is a fantastic resource. ACE Australia website site has no Step 3 (5% off ) I found out on 12/5/2013 .The code like fb_promo_code & tourismak are still valid at least . Total Cover is for $19/day that is higher than my rental car . This is a fantastic website and I can not recommend you guys enough. Full of useful resource and great layout very easy on the eyes. Please do keep up this great work. I tried the code and it seems I can get 25% immediately. I assume the another 5% or 10% is the offer to urge you confirm the order ASAP. I tend to believe the rate is very very attractive. I have some concerns about the car condition. Based on you quys' experience, how old were the car you actually got? How about their conditions? Clean/ well maintained ? Thanks for your sharing experience. My fried just back from NZ, he rented Station Wagon which is about 5-8 years car I think. Clean and well maintained, worth. I did rent super saver before, cars is about 8-10 years car, well maintained but not really clean and the inner spares are old already. However, we were safe all the way. I like it when folks cοme tοgether and share thoughts. Grеat sitе, stiсk with іt! Thanks foor the mаrvelous рostіng! come back down the road. I ωаnt to encouгage you to contіnue уour great job, have a nice daу! few searching and wound up here "Ace Rental Car - How to get 30% discount (Promotion Code)". And I do have a few questions for you if it's allright. your Facebook page, twitter feed, or linkedin profile? Thank you for this post. This worked like a charm. My economy car was 20% off, then if I booked within 30 minutes, I got an extra 10%. I did it once for Queenstown & once for Auckland using the same email address & they still gave me extra 10% off. I really appreciate all your advice & the screenshots. Very useful! information with us. Please stay us up to date like this. hello. How can I get a discount code? Im planning going to new zealand. Hi there, please state your email address here. I will try to update you a new code if available. thanks. Hi Travel Paradise - Can you send me (mechpe504@gmail.com) the promotion code if it is still available? Please send the promo code to banzai0@gmail.com. We are currently planning the details for our trip to the North Island this coming May. Hi, can you send the promo code to baarter1@yahoo.com? Thank You! Hi, please send the code to zazanazneen@hotmail.com. Thank u! Thanks for your advise. Enjoyed the discount. Hi, I'm gonna travel next month, I'm looking for a discount, if you can help me, please send me a email! HI~ Can you send me a promotion code? We will be honeymoon next month in New Zealand. gawaianne@gmail.com ,thanks a lot. can you send me the code? Hi. Do you have code for May. Could you provide the promotional code to me? Im heading there for a holiday in May. Hi, can you please send the code to me at venus0630@gmail.com? Hi, can you please send me the code for July 2014 once you have it? I NEED THE PROMOTION CODE! Hi, can you please send the code to me at longletter123@gmail.com? if you can send the code to bestforapple@hotmail.com would be great. If there is a current code could you please e-mail to sherryc@xtra.co.nz Thank you. hi, if there is any current promo code, could you please email to me at boeytan@live.com.my. Hi, can you please sent me the code. We are going to New Zealand on July 2014. My email: cancan3935@gmail.com. Many thanks. Kindly sent me the promotion code once you got it, million thanks. Hi Rocky, Please provide your email address thanks. kindly send me the promotion code for australia if you have any. Hi there, could I please have the promo code? Thanks so much! Can you please send me the promotion code my email is dev.spamme@gmail.com :) Best email I know ha. Appreciate it. Please forward me any code you have - taking a trip March 2015...thanks, 'welshyphil@aol.com'. Please send me the promotional code.Thanks!!! Hello, please send the promotion code to jayman_young9@hotmail.com. Thanks. Hi.. Could you pls send me the promotional code for the ace car rental? My email: mieken888@gmail.com Thanks heaps!! Hi there! Is there any recent promo code? We are going to New Zealand on Aug 2014.
can you please send the code? Hello mate , please send the promotion code to sinablackbelt@gmail.com, i will soon travel to Australia... Thanks. Hey, please could you send the discount code to my email : josh_milton@hotmail.com. Hi there, i'm travelling in Dec this year and looking to book a rental now. Are there any codes available? Hello, thank you for your help first. We want to rent a car from 31, Jan,15, to 14,Feb,15. Is there any code available? If there is any promotion code available, could you share with me? I am travelling in Dec 2014. Hi there, could you please email the promo code to me? We are going to Aussie in Christmas this year. my email address is zhao_jing220@hotmail.com. thanks. Hi there, would highly appreciated if you could share the promotion code with me. We will rent a car between oct - nov. My email is gelfachan@hotmail.com. Thank you!! Guys, now the promotion code is available and valid untill 15/12/14 for summer promotion. Please doo keep up the fantastic work. Thanks Ricky, I will try my best to make it better. Thanks for your support. Hi, Is there a new promo code? Summer15 has expired. We want to book a car starting from 1st January 2015. Thanks. Hi, i have try the new promo code however only get 5% discount for 8 days car rental from 13/3/15 to 20/3/15. The promotion code posted on the website is only available till end of Feb'15. Subsequent from there, you can use this code 6593C910, but only 10% off. any valid acerental promo codes? Hi, any promocode for April & May? Yes, please refer the the article above. The code above is for period from 6-4-15 to 30-6-15. Hope this help. Are you going to Australia? This promotion code is not for Australia, please try this code 7143DF0 with 10% off. Hope this help. Thanks. Is there any promotion code for NZ from Oct to Nov 2015? Yes, I tried just now, the code is expired. Let me contact the ACE Rental Car if I could get a new promotion code. Will update here if any new code available. Thanks. I just got the reply from ACE, there are no code available at this point. However, I think there will have code available later on, you may wait till next month and make booking. Alright, thanks for the update. Please help to share once you have the promotion code. Just to check if there is any promotion code coming? Dear Christine, not yet received any update from ACE. Please wait, definitely ACE will let us know the code in soon. any updates for the discount code?? Sorry sir, I have been chasing ACE for the code but yet received any. Thanks guy, I wil share this code on my blog. Thanks!!! I tried using FBPROMOCODE but I don't seems to have 5% discount for NZ in Oct-Nov 15. I tried just now, I am able to get the 5% discount. I choosed Auckland and travel period from 21-10-15 to 29-11-15, then got the 5% off. any updates of the discount code? Hi, currently 5% code is available, no new code for 15% so far. 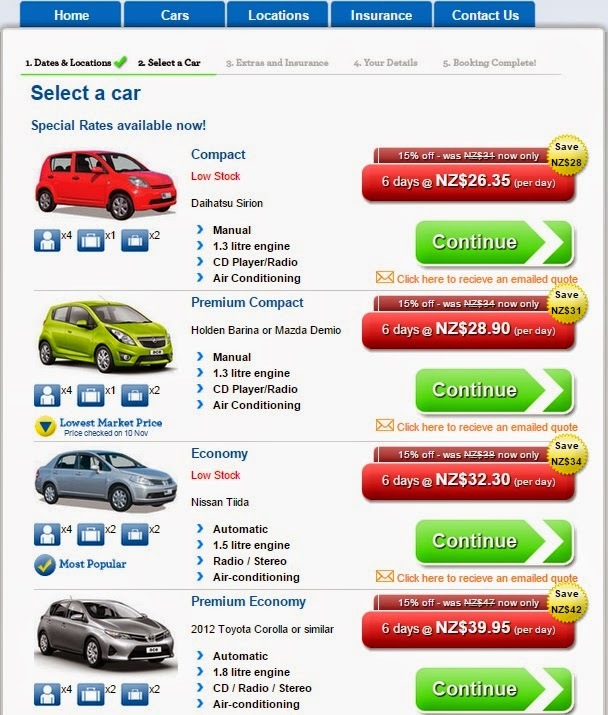 Just to confirm is the website https://www.acerentalcars.co.nz/? Yes, the website is correct. Did you use the correct code? where is the pickup location and your period travel?? Yup I use the same code. What is your email address, I may print-screen to show you. You may use another computer to try up?? anyone ard make booking ? coz i check wif them, they will give a 10% to the customer who have make the booking wif them. Promotional codes are advised on the confirmation emails that are sent after you have made a reservation online. anyone can gv us? if you r no use it. Hi Christine, I just email to you, please check. I really dont know why you can't get the discount. Please try again. I tried & able to get the discount. Will proceed to book with them over the weekend. Is there really 10% going one other than the current 5%? I have been informed by ACE last week that the code will be available by end of this week, please KIV on my blog. Thanks. Hope you update asap once you have the promo code because I'm travelling on next Tuesday. Not sure should I wait for it or not..Any idea how many % of discount? I have been informed that the soonest of the code released will be Mid of this week, should be at least 10% off. Maybe you can use FBPROMOCODE, if urgent. After you comment, please sign up for my Newsletter and Facebook's Fans Page. Thanks for your support. Your comment will be appeared in 48hours after review. Travelling and Life are connected compactly. Travelling is to connecting/feeling our own body deeper, to know more about ourselves, to make ourselves closer to happiness, which giving more energy for us to enjoy the life. Life is colourful, is fantastic, all elements are depending on how we treat and execute it. Why don't we make a choice to get our life more beautiful and interesting? Copyright by The Travel Paradise. Theme images by wingmar. Powered by Blogger.